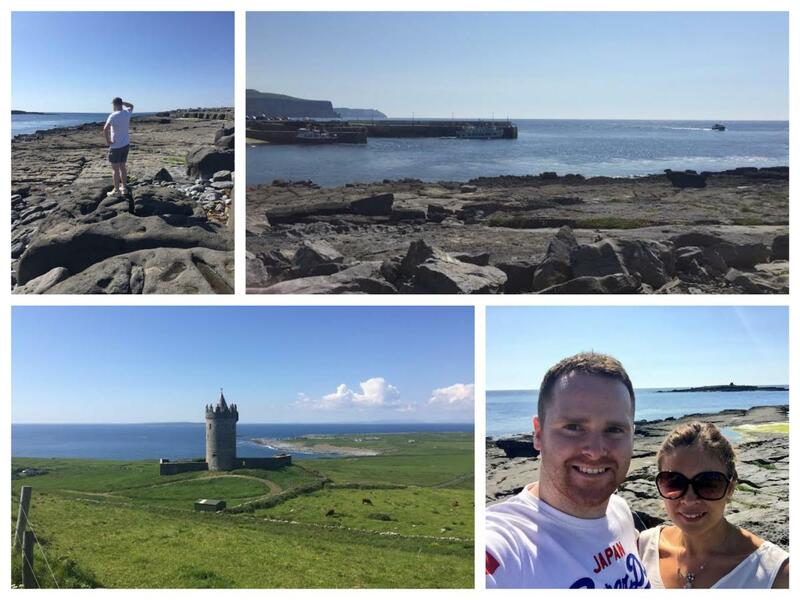 Last weekend was a busy one for us as we took in 6 counties across Ireland, the highlight of which was our 2 day break in County Clare. This was the first time either of us had visited Clare, and we were more than looking forward to the trip. A few friends had been to places like Lahinch and The Burren before and we’d heard nothing but good things about the area so couldn’t wait to get along and check it out for ourselves. We managed to get a great deal at The Killaloe Hotel & Spa in the town of Killaloe. The hotel is just newly opened and was our base for what proved to be an unforgettable 48 hours. Read on to see why we fell in love with Co Clare, and the highlights of our trip that you simply must visit. The drive down from Newcastle was around 3-4 hours although we did stop in at The Shelbourne in Dublin on our way through for afternoon tea to celebrate Helen’s birthday. The drive along the M7 from Dublin to Clare was pure bliss. With clear blue skies and quiet Sunday roads, the Irish countryside provided the perfect backdrop for our drive, and as we landed into the town of Killaloe, it was clear we had struck it lucky with the weather. Killaloe is twinned with the town of Ballina and separated by the River Shannon at Lough Derg. This is the border where Clare meets Tipperary and is a truly stunning part of the world. We arrived late Sunday afternoon and the town was hiving, with the bars of Flanagans on the Lake and Molly’s Bar both attracting large crowds to the beer gardens along the lough, something that continued with the weather over the coming days. We checked into our hotel at Killaloe Hotel & Spa and had our evening meal before resting up for what was going to be a busy day ahead. We started day two with a great breakfast at our hotel before exploring Killaloe a little further and then stopping off at some spectacular viewing points on Lough Derg. Lough Derg is Ireland’s third largest lough and lies in the counties of Galway, Clare and Tipperary. Starting in Portumna iin Galway and ending in Killaloe and Ballina, it stretches 40km and has 179 km of indented shoreline. We didn’t have time to fit in the Lough Derg trail, but would definitely recommend it if you have time when travelling around this part of Ireland. You can even take a tour of the lough with Killaloe River Cruises. You can find out more about the Lough Derg Lakelands by visiting discoverloughderg.ie. Killaloe is about 15 minutes from Limerick City, and our first stop was a little further than this as we visited Bunratty Castle & Folk Park, one of the most popular tourist spots in Clare. As we had quite a busy day planned, we didn’t get a chance to enter the folk park but we did take time to admire the castle and explore the town of Bunratty a little further. 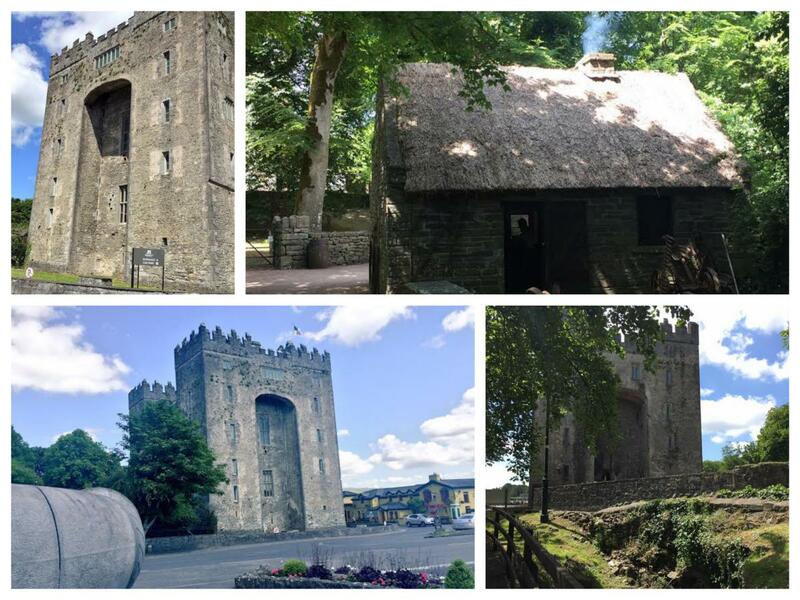 Restored to its full glory in 1962, Bunratty Castle is open all year and is considered to be the most complete and authentically restored castle in Ireland. We have to say, it certainly looked the part. The next stop on our day of exploring Co Clare was the popular seaside town of Lahinch. It’s fair to say we hadn’t really packed for the seaside and the weather we were enjoying but we made the most of the weather and enjoyed a leisurely stroll along Lahinch Beach. We arrived in the town just after lunch and it was hiving. The warm weather had certainly got the locals out and we could see why this town is so popular with Irish and international tourists during the summer month. Lahinch is one of the most popular surfing locations in Ireland, and while we didn’t get to see any surfing (mainly because of the tide being in), it’s certainly something we’d love to head back to Lahinch to see. The town is like most popular Irish seaside towns – rammed with bars, but unfortunately we had to continue our journey north along the Wild Atlantic Way. As we passed Lahinch Golf Club, you can see why this course is one of the finest and most popular in Ireland, with the dunes and rugged landscape really making an impact. 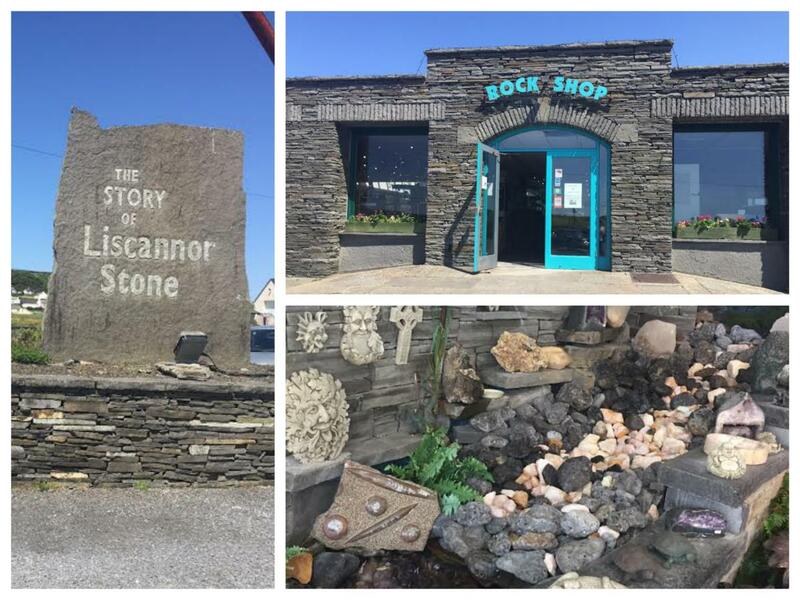 As we made our way from Lahinch towards the Cliffs of Moher (which is about 15 mins away) we passed The Rock Shop in Liscannor and decided to call in. The shop is home to the biggest collection of gems and stones available to buy in Ireland, and also had a number of fossils available to buy. Helen studied Geology and has an interest in fossils and gemstones going right back to her days at University, so if you share a similar interest we’d highly recommend calling in to The Rock Shop on route to Cliffs of Moher. Our next stop was the highlight of our trip to Clare as we stopped of at one of the most popular locations in Ireland, The Cliffs of Moher. 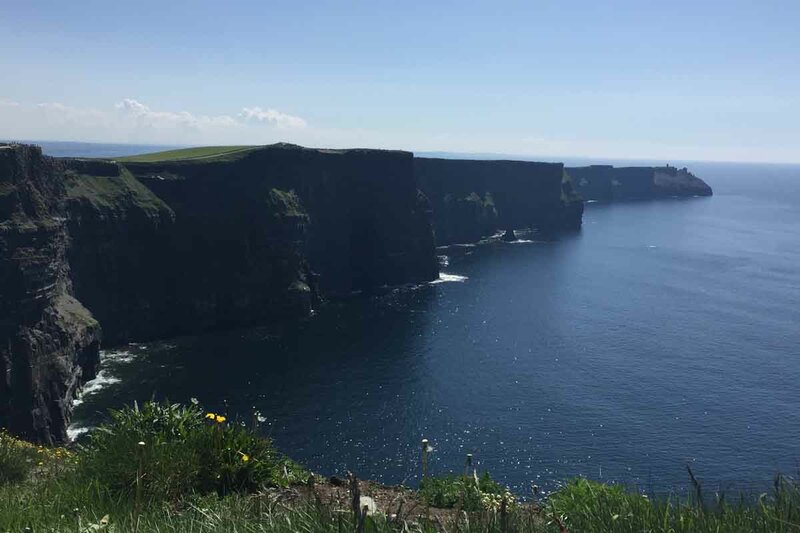 We’d seen photos and read about The Cliffs of Moher, but it’s not until you’re there that you can really appreciate the sheer beauty of this part of Ireland. As we parked the car, we joined the masses of other visitors and made our way up towards the cliffs. We really were blessed with the weather and this only enhanced the breathtaking views at the cliffs. The Cliffs of Moher span along 8km of Clare’s rugged coastline and the view from the Cliffs of Moher are up there with the best we’ve seen, anywhere in Ireland, or indeed Europe. Looking south towards Hogs Head, the cliffs were simply magical and really do have to be seen to be believed. With it being a clear day we were also lucky enough to see out towards the Aran Islands. We also took the chance to take a walk up to O’Brien’s Tower and enjoy more wonderful scenery. After spending around an hour walking along the cliff paths, we went down to the Cliffs of Moher Visitor Centre to find out more about this rich landscape before returning to our car and heading onwards to the village of Doolin. 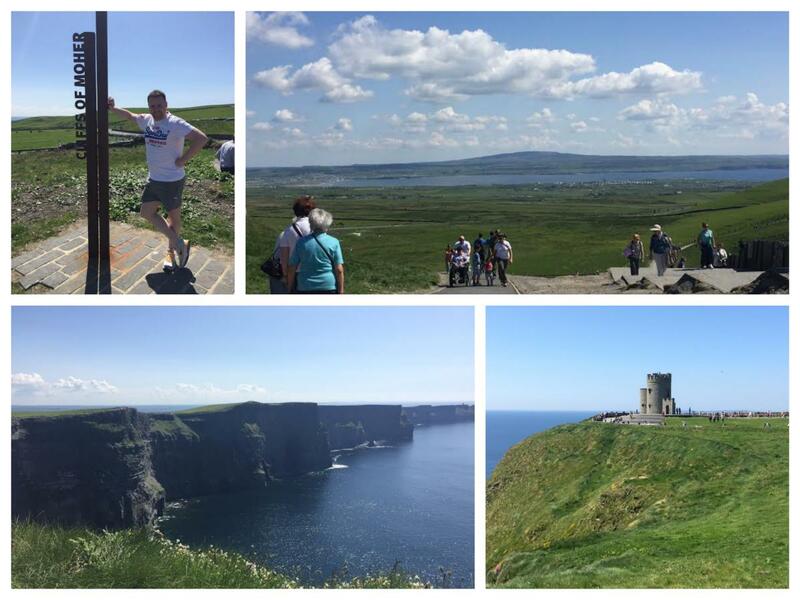 The Cliffs of Moher had mad a lasting impression on us and it’s something we’ll remember for the rest of our lives. 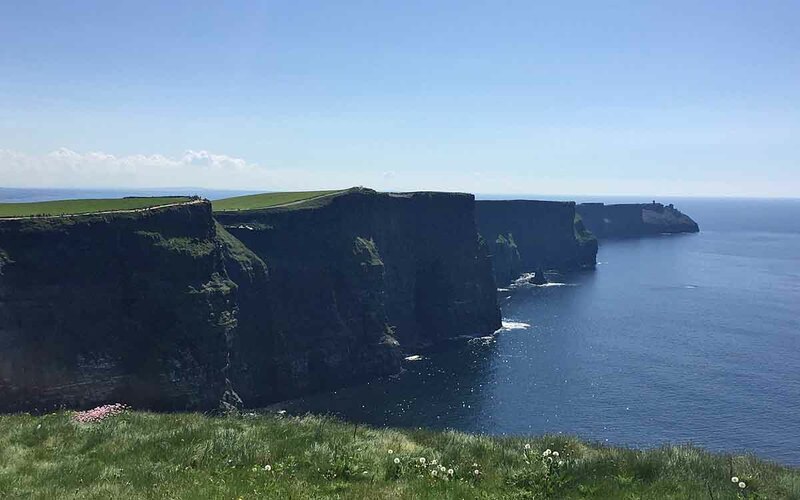 If you are planning a trip along Ireland’s West Coast, give yourself some time to visit The Cliffs of Moher; you won’t regret it! Leaving the Cliffs of Moher we made the short trip to nearby Doolin along some of the narrowest roads we’ve ever been on – something that would become standard in our journey through The Burren. Doolin is recognised as the birthplace of Irish music, and while it’s a relatively small place, you can certainly see the charm that would attract visitors throughout the year. We made our way to Doolin Pier and watched the ferries come in and head out again. The ferries leave Doolin to go to both the Cliffs of Moher and Aran Islands and there were plenty of tour buses pulling in to the pier to see the Clare coastline from sea. From Doolin Pier we made our way to Doolin Cave and got there just in time to join the final tour of the day. The story of the tour is quite a special one and as we found out during our tour, it dates back over 350 million years. The cave itself was discovered by accident in 1952 by J.M. Dickenson and Brian Varley, university students who went off from their group exploring caves in The Burren area to stumble upon this truly hidden gem. Noticing a small stream disappearing at the bottom of a limestone cliff, the two explorers crawled through a narrow passage for about 1/4 mile until they came to a chamber they could stand up in. This chamber is the highlight of the tour and it takes visitors face to face with the Great Stalactite, the third biggest in the world and biggest in the Northern Hemisphere. 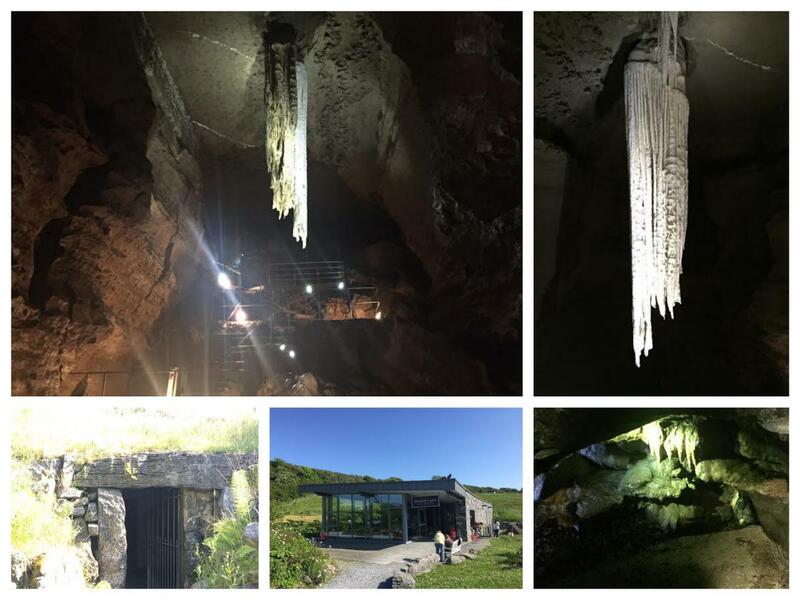 The Great Stalactite takes the breath away and a tour of Doolin Cave is a must for anyone visiting The Burren area. The cave, as it is today was opened in 2006, so this years marks 10 years of ordinary folk being able to visit the cave. From the caves, our next port of call was the vast lands of The Burren National Park. First up though we mad a quick stop in the town of Lisdoonvarna and although our stay was brief, the town is on our must see list for our next trip to Clare. Indeed, had we managed to plan our trip to Clare a day earlier, we would have got to Lisdoonvarna in time for the final day of The Burren Slow Food Festival. Next years festival takes place from 12th – 14th May and we’re already planning our trip down! 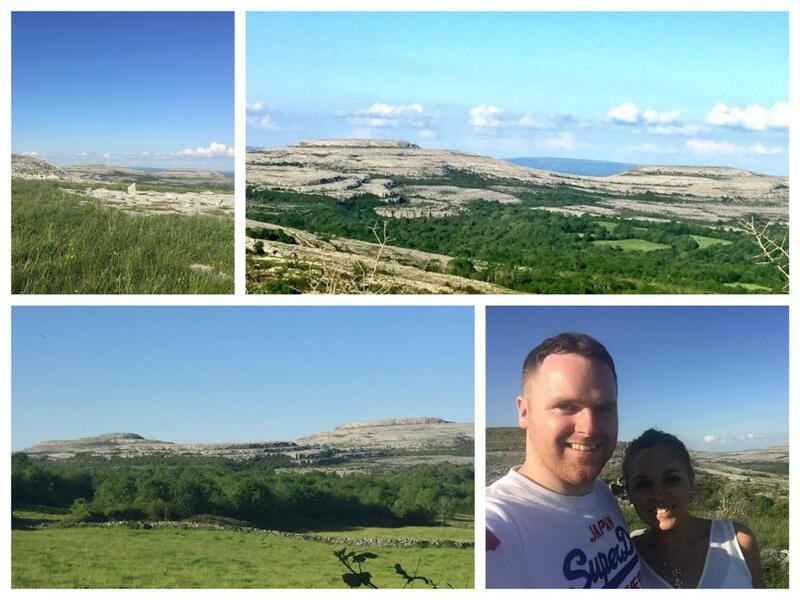 The Burren National Park and surrounding area is another that really needs to be seen to be believed. We’d seen photos of this lunar like landscape but it’s not until you’re up close and personal with it that you really appreciate the land. Driving through this limestone dominated landscape was another highlight of our trip. Driving along the winding roads of The Burren, we cam across some amazing viewpoints which provided great photo opportunities, and highlighted once again, just how beautiful Clare is. The Burren and Cliffs of Moher Geopark is a UNESCO Geopark site and one of the most amazing places we’ve ever visited. It only takes a few moments in this area to understand what all the fuss is about – it’s simply spectacular. Travelling through The Burren we realised we were close to the house used as the Parochial House in the hit TV show Father Ted. 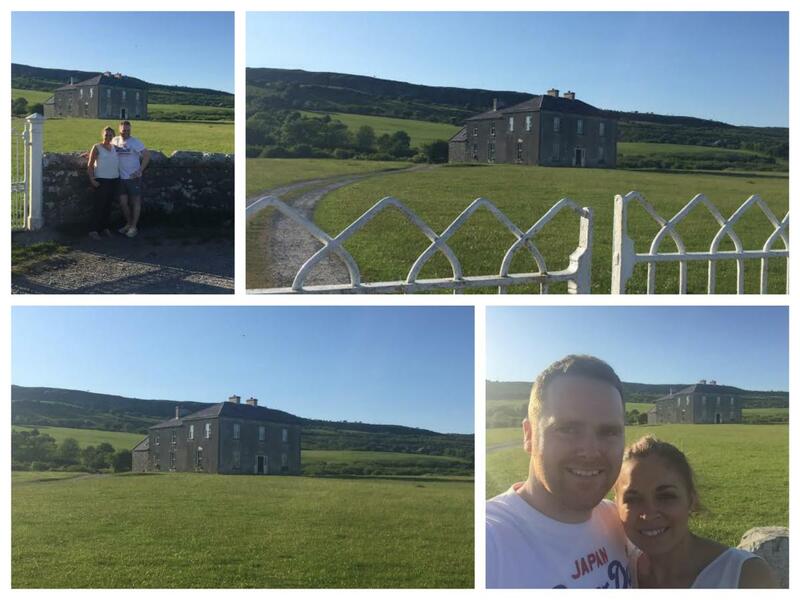 Located in Lackareagh, it’s probably the most famous house from Irish TV shows, and as we both grew up as fans of the show it was simply a must see! We’ll be honest, the house isn’t the easiest to find and with our Sat Nav and phones stopping working, we thought it wasn’t meant to be, but fortunately we turned a corner (on yet another narrow road), and there it was in all its glory to our right. A photo moment we will remember for years. You can find out more about Father Ted’s house by visiting www.fathertedshouse.com and for true fans of the show, check out the popular Ted’s Tours. It had been a tiring day travelling around Clare but it was certainly worth it. 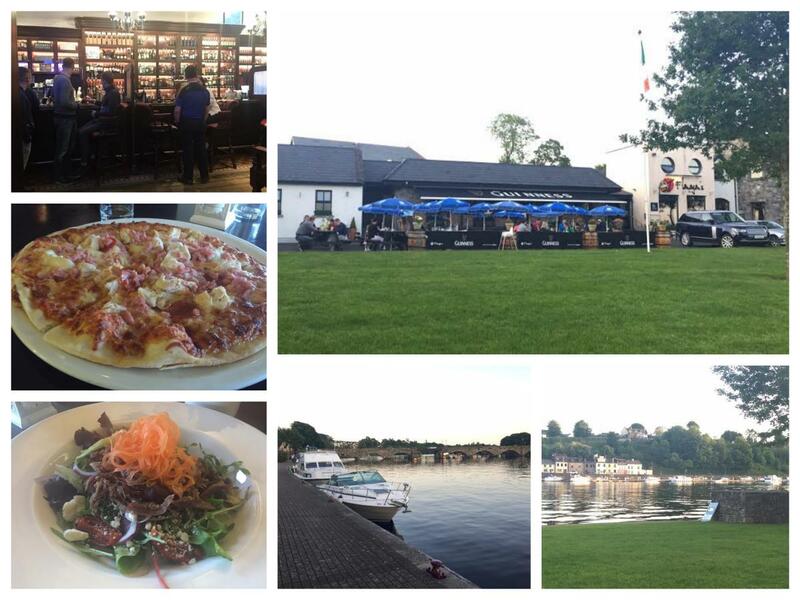 We made our way back to the town of Killaloe where we were staying and stopped in at Flanagans on the Lake (which is actually located in Ballina) for dinner. Once again, the beer garden was busy, even for a Monday night, so we joined the masses in the beer garden, taking in the views of the lough and the town of Killaloe. We dined inside and were pleased with the selection of food on offer. The menu was what you would expect from an Irish pub although they did offer a pizza and it was all we really wanted, as a result of stopping in at Lisdoonvarna earlier in the day. After a quick drink and bite to eat, it was time to call it a night and head back to the Killaloe Hotel and Spa. Our Clare adventure was coming to an end but we had an amazing time and look forward to returning again in the future for an extended stay as we still have so much more to see and do. 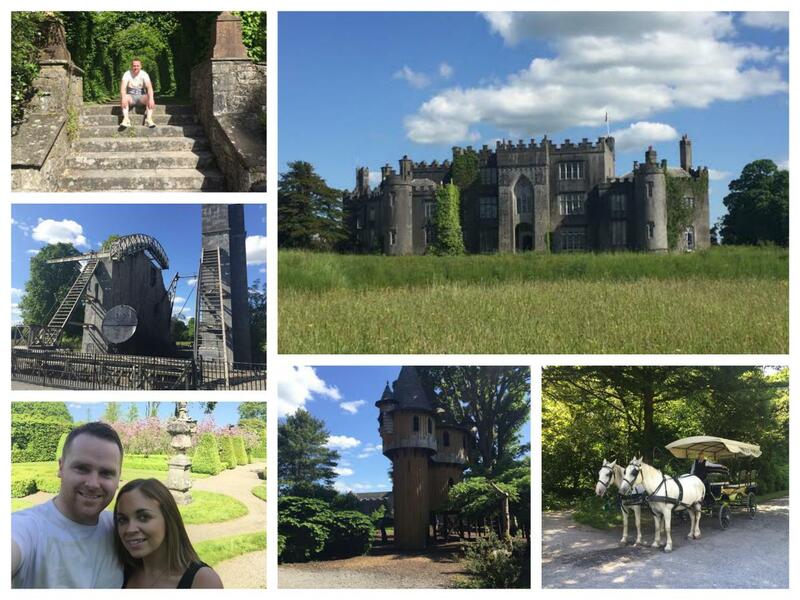 The following day we visited the town of Birr in Offaly on our way home and the impressive Birr Castle. Watch the video below to check out some of the highlights from our trip to County Clare. It really is a special part of Ireland and an area that we really should have visited long before now. It won’t take 30 years for us to visit it again. 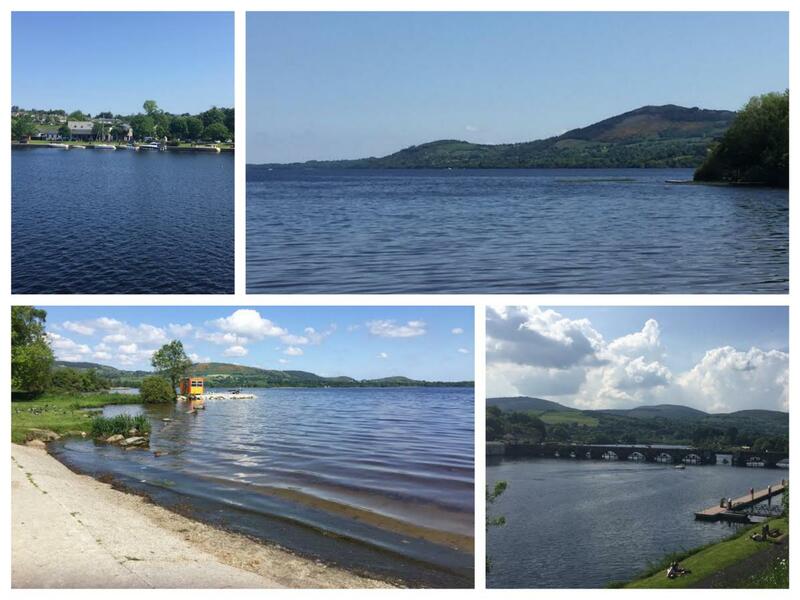 Killaloe is a great base for exploring Clare and the neighbouring counties of Limerick and Tipperary, but if you plan on spending most of your time in The Burren area and around the Cliffs of Moher, the towns of Ennis, Lahinch, Lisdoonvarna and Doolin would be worth considering staying in. Here’s a short video we shot of our time in Co Clare. Have a watch and let us know your thoughts. As you can see, we were blessed with the weather during our stay. 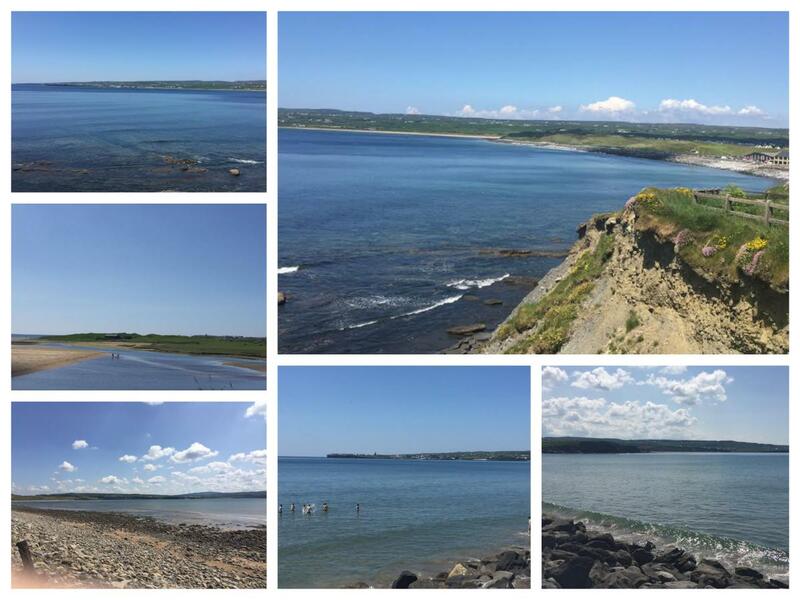 Find out more about things to see and do in Co Clare by visiting www.clare.ie. 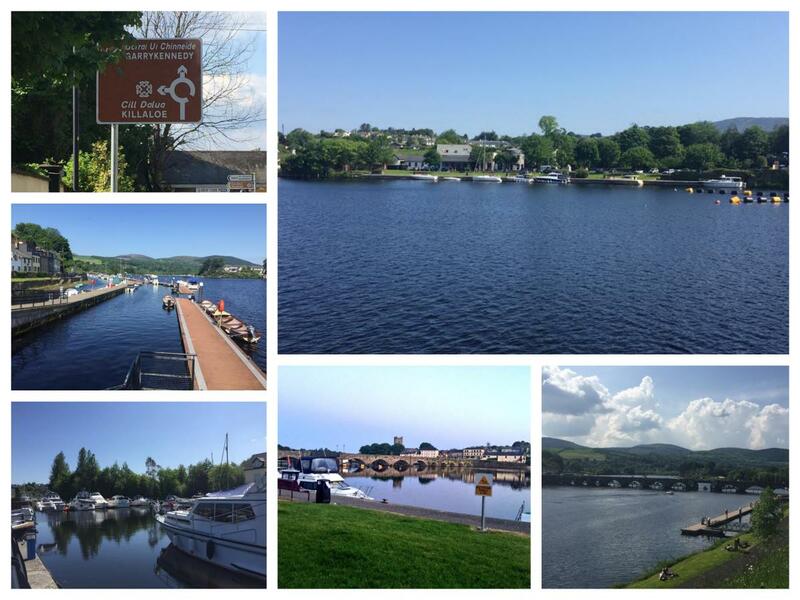 For more information on things to see and do in Killaloe and Ballina, visit www.killaloeballina.ie and www.discoverkillaloe.ie. 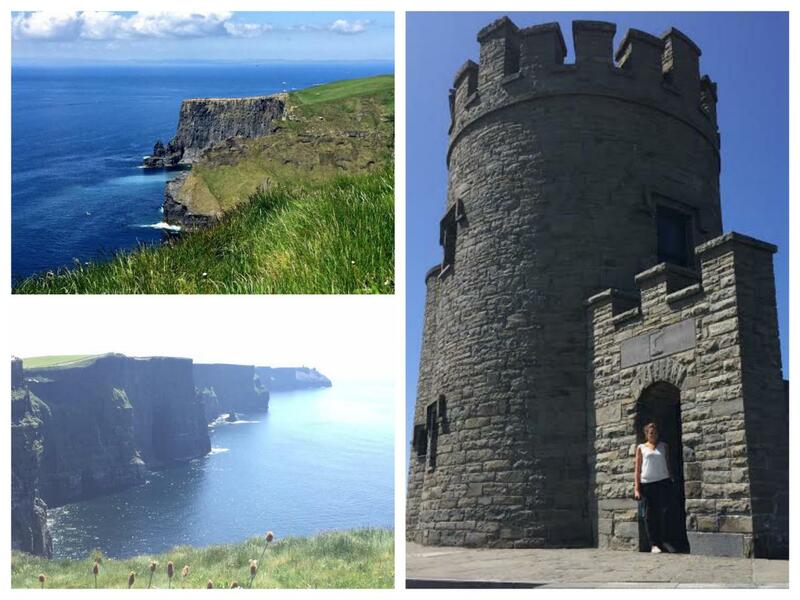 Have you ever visited Clare or The Cliffs of Moher? We’d love to know your favourite thing about the area and is there anywhere else in Ireland you think we should get along to next? Let us know by commenting below or connecting with us on Facebook and Twitter.